Text Draw until you have 3 cards in your hand, also for the rest of this turn after this card resolves, your opponent takes no damage. During the End Phase of this turn, send your entire hand to the GY. You can only activate 1 "Card of Demise" per turn. 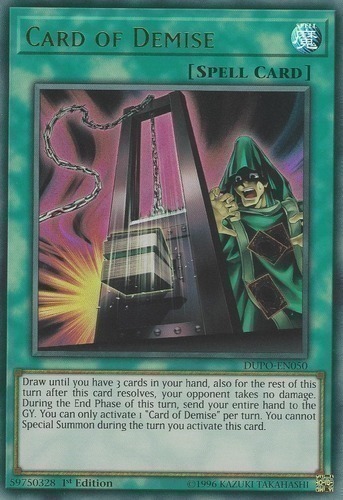 You cannot Special Summon during the turn you activate this card.